Thursday, the first day of World Horror Convention 2014, was an enjoyable start. As I expected, a lot of people haven’t arrived yet, others have arrived but are so exhausted from travel and jet-lagged that they’re either heading straight up to bed, or wandering around dazed and confused. But there were plenty of us having fun, exploring and making new friends. 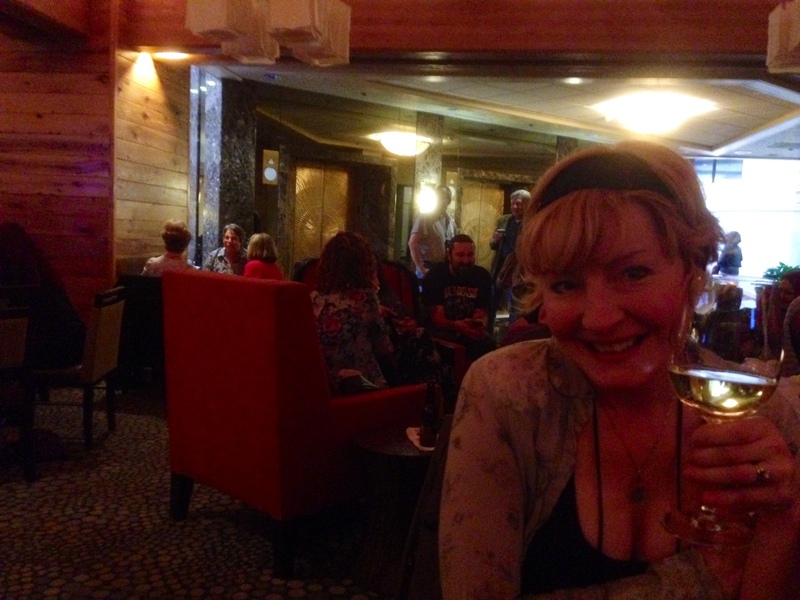 Lena and I arrived early, checked in, bought a parking pass, checked out our “swag bag” contents, and grabbed something to eat and drink at the hotel’s bar/restaurant, which was packed. Just as we were almost done eating, I started receiving frantic texts and emails from my workplace – an extended power outage, and the technology problems that follow downstream from that. I spent the next 60-90 minutes emailing, texting and calling work, trying to do what I could to get things back online once power was restored. It didn’t exactly ruin the evening, but it did take my attention away from the art opening, and completely wiped-out my cell phone battery, hence the limited number of pictures I posted from day 1. We met up with Scott Nicolay and Anya Martin, and though my phone was dead, Scott informed me of the news that The Grimscribe’s Puppets, the Thomas Ligotti tribute anthology edited by Joseph S. Pulver Sr. to which both Scott and I contributed stories, had been nominated for a Shirley Jackson Award for best anthology. 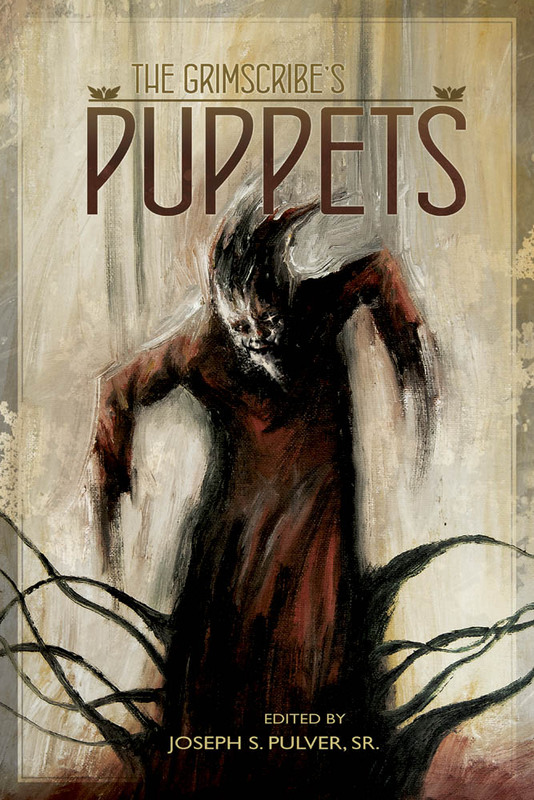 On top of the nomination of the same book for the Bram Stoker Award in the same category, this has been a great year for that anthology and for editor Joe Pulver. If you haven’t purchased this book yet, well, maybe you should! The last event of the evening was a reading block by Anya and Yvonne Navarro. Both readings were emotionally powerful and went over very well. 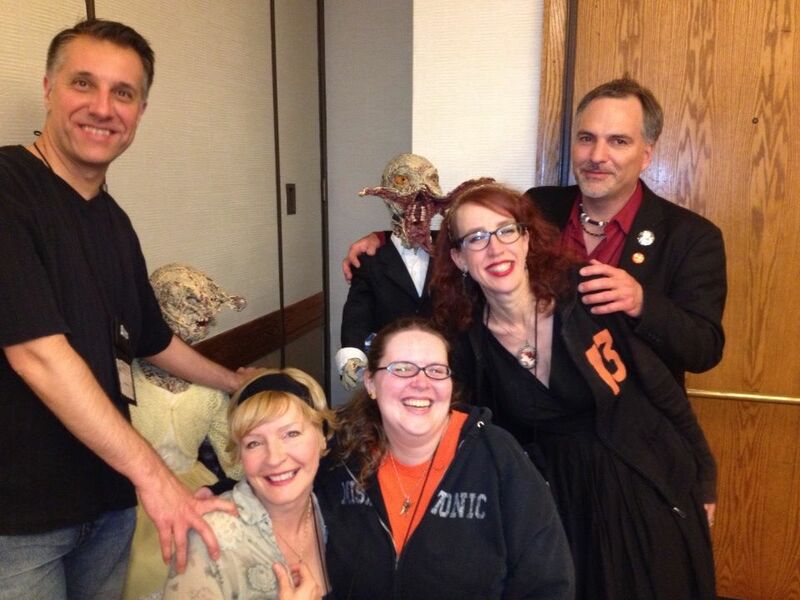 After, a few of us posed for photos with the creepy stuffed monsters in the corner, and Yvonne’s husband Weston Ochse (sure-thing winner of the Best Shoes award for the 2014 con) was good enough to snap photos of our group. Left to right, that’s me, Lena, Dominique Lamssies, Anya Martin and Scott Nicolay. XGRIFFIN! Wait, I think I’m doing it wrong.